The US Senate passed a bill to honor Egypt's late President Anwar Sadat for his role in achieving peace in the Middle East, the Egyptian Embassy in Washington D.C said in a statement posted on its Facebook page on Thursday. “Last night, the US Senate unanimously passed a bill to honor former Egyptian President Anwar Sadat,” the statement read. The bill, titled Anwar Sadat Centennial Celebration Act S266, awards the Congressional Gold Medal to Sadat “in recognition of his historic achievements and courageous contributions to peace in the Middle East,” the statement added quoting the bill. 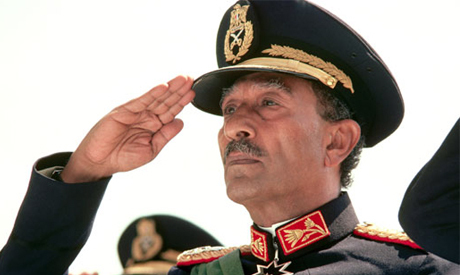 The late President Sadat is the first and only Egyptian ruler to receive the honor. The 1918-born Egyptian president was also jointly awarded the Nobel Peace prize in 1978 with Israeli Prime Minister Menachem Begin for signing a peace treaty between Egypt and Israel a year earlier. In September 2017, the senate hosted a ceremony to rally for the bill on the 100th anniversary of Sadat’s birth as well as the 40th anniversary of the signing of the Camp David Accords, according to Egypt's foreign ministry. Senator Orrin Hatch, Senator Ben Cardin, Representative Chris Stewart and Representative Grace Meng introduced the bill to Congress in January 2017.